In the summer of 2007 Bear Stearns and BNP Paribas announced problems with some asset-backed securities funds. Few people noticed or even correctly identified these events as the start of the worst economic downturn since the Great Depression. Most customers stayed optimistic and kept buying houses, aircraft, yachts and other assets. At the September 2007 NBAA Convention in Atlanta, Hawker Beechcraft and Cessna each booked more than $1 billion in firm orders. We all know what happened next. 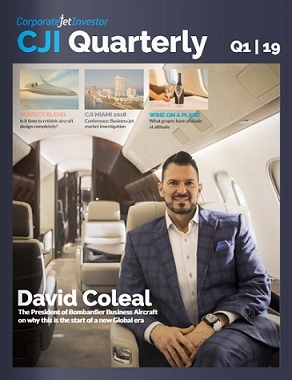 Without wanting to dampen the mood of the business-jet industry (and after 10 years of tough markets everyone deserves a bit of fun) it is possible that we have already missed the latest warning sign of the next downturn. I am not trying to call the next recession starting today (although, as the joke goes, I have spotted 12 of the last three downturns). Like you I want the market to continue to strengthen. But it is worth wondering what would happen if an economic downturn were to start soon. The good news is that things should not be as bad as in 2009 or 2010. There is a lot less exuberance in the market now (although this could change), so the fall should not be as great. Manufacturers are pretty well placed. Production levels are still pretty conservative (Bombardier this week said it plans to deliver 135 business jets this year compared to 247 in 2008). They have already invested in new aircraft models that are coming soon. Culturally many of them have learnt to live in a world where you do not have big backlogs. Operators have also grown used to tough times, and most would be starting the downturn already lean. Brokers can also profit in both markets. Financiers could feel more confident about values and have also got much-better asset-management systems. In fact, the type of company actually makes less difference than what stage the company is at. There are a lot of tech and other start-ups that will need to raise further equity before they become profitable. At the moment there is a lot of capital available for them. But if this venture capital dries up (as it did in 2000 and 2008) things could get tough. Companies without significant revenue or proven business models will be hit the hardest. The same is true at the other end of the spectrum. There are lots of founders who had very profitable established businesses in 2008 who have been waiting for the market to improve before exiting. Roughly 70% of the largest business-jet operators are privately owned. 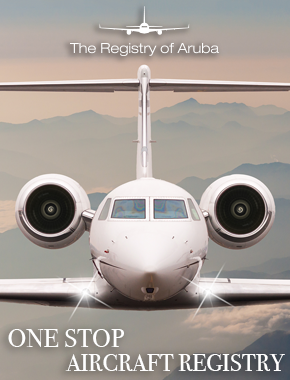 So are many FBOs and suppliers. Everyone wants to sell out at the best price, but another downturn could be heart-breaking for them. The sun is shining for many at the moment (both physically and metaphorically) and apologies for sounding gloomy, but it is never too early to start planning for winter. Winter is coming.